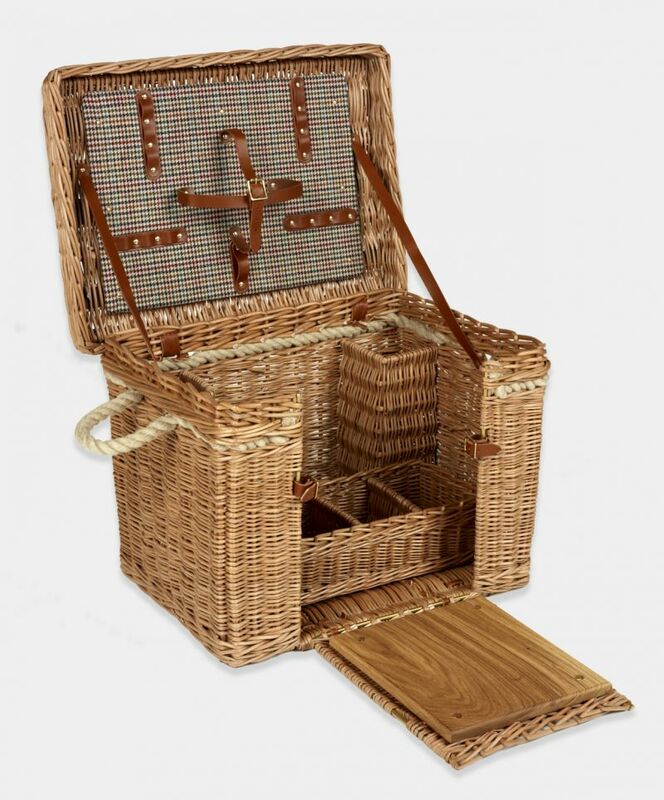 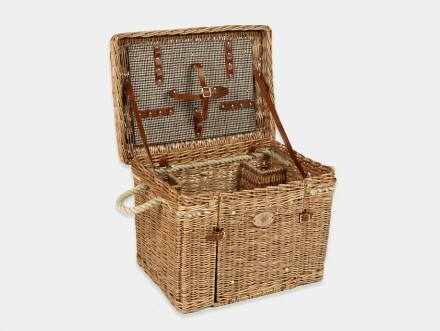 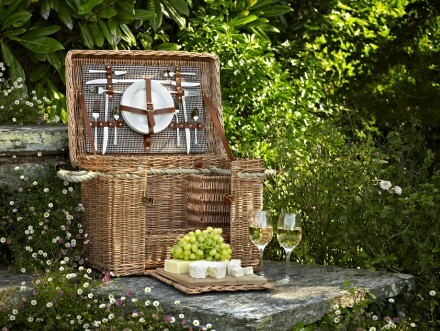 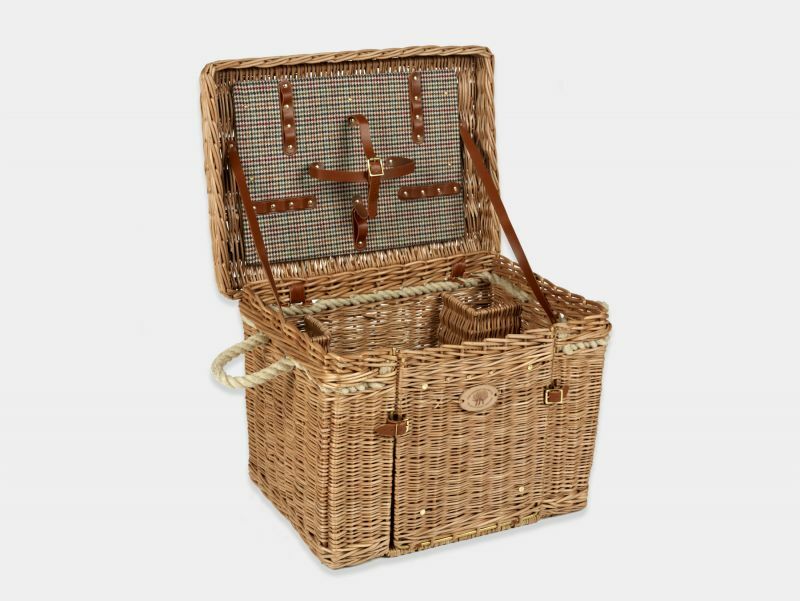 The exquisitely handcrafted Chantilly Wine & Cheese Basket is displayed here in the timeless buff willow finish with a stylish tweed backboard and light tan leather strap and buckles. 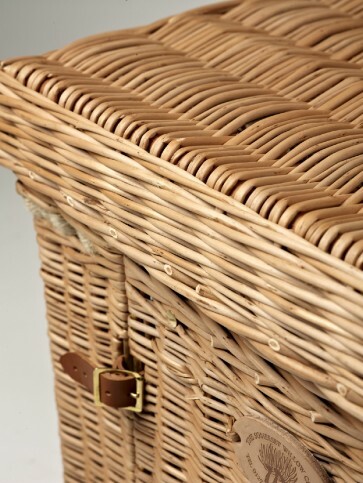 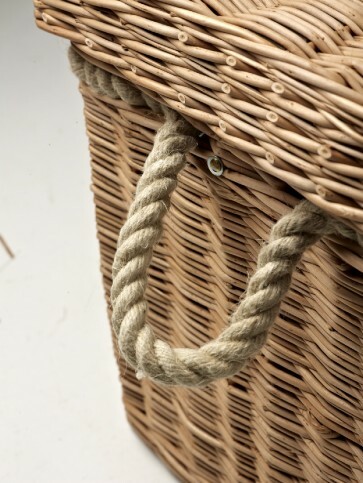 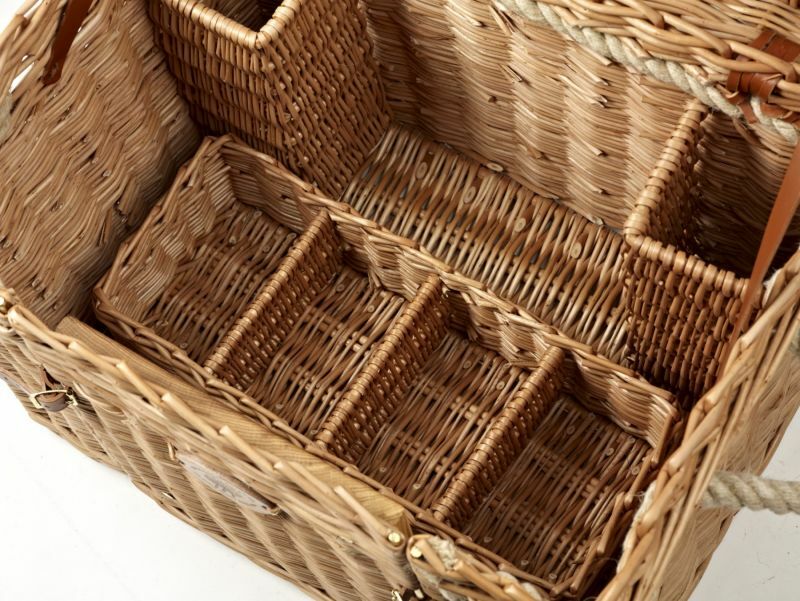 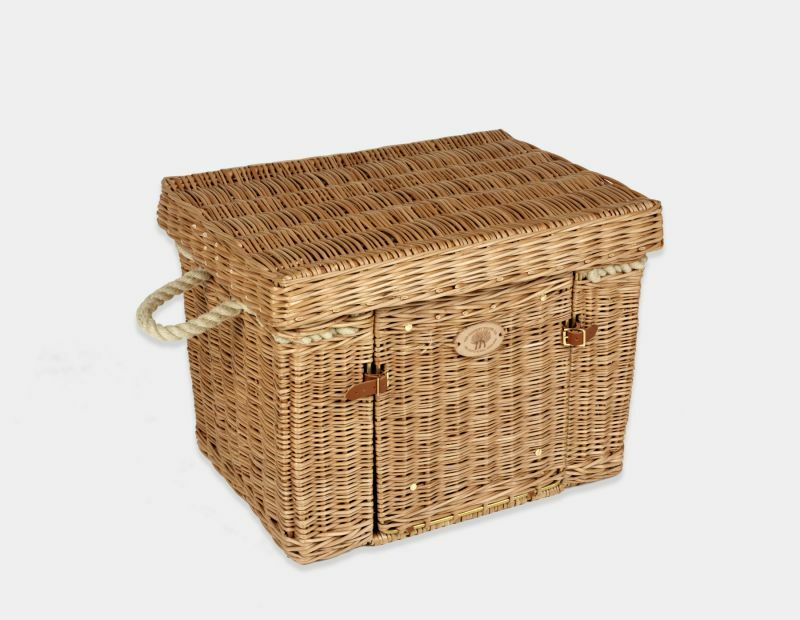 The basket has interwoven subtle hemp rope handles and comes fitted with an elegantly crafted removable glass basket. The show piece of this basket, is the clever front opening door which has a fixed oak cutting board. It is made exclusively by hand in our workshops in Somerset, using locally grown Somerset willow. 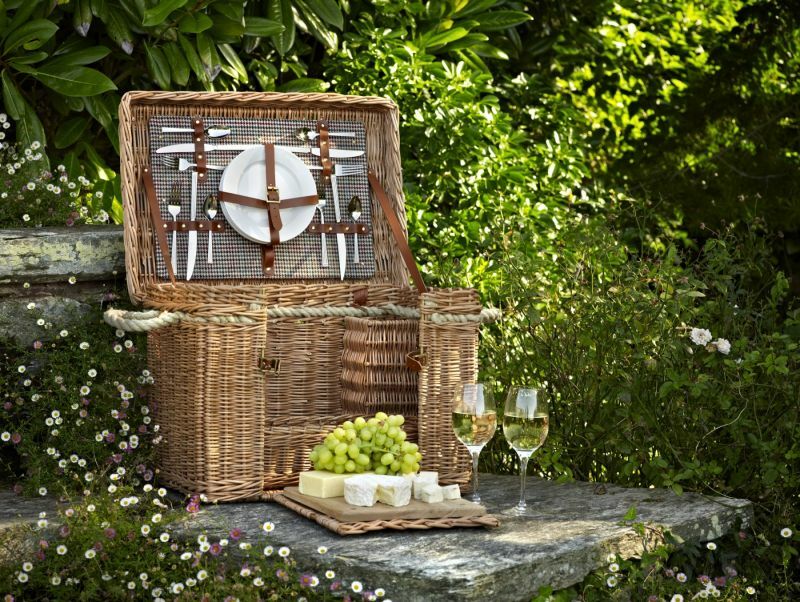 This chic looking wine and cheese hamper will accommodate up to four persons and fit up to two bottles of wine and up to four wine glasses.